Moalboal is a small town. It is a good two-hour drive or approximately 89 kilometers away from Cebu City. The town is located in the southwestern side of the main island of Cebu and bounded by the waters of the Tañon Strait on the west. To it's east is the bustling town of Argao. And to the southwest is the municipality of Badian, a popular tourist destination. At one glance you will mistake it for a typical sleepy town. But in its spectacular waters are where all the action happens. Moalboal is known as the gateway to some of the most breathtaking spots in the diving arena not only locally but in the entire country. 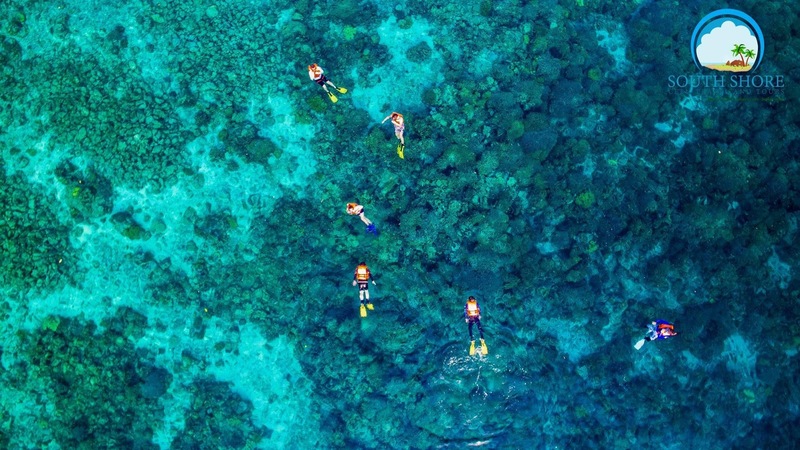 It is home to a wide variety of marine flora and fauna that will enchant any diving enthusiast. Exploring Moalboal, Cebu definitely will leave you in awe. There are a lot of things to discover that even the locals have not roamed around enough yet. But that’s what makes it such an exciting travel destination. You always have something to look forward to for a getaway with family and friends. And there’s this one popular activity you can do to make the most out of a one-day trip. Island hopping in Moalboal has been a favorite among those who got bitten by the travel bug for a lot of reasons. It offers great respite via a perfect mix of adventure - unimaginable beauty, perceived danger, and even mystery both above and under the waves. 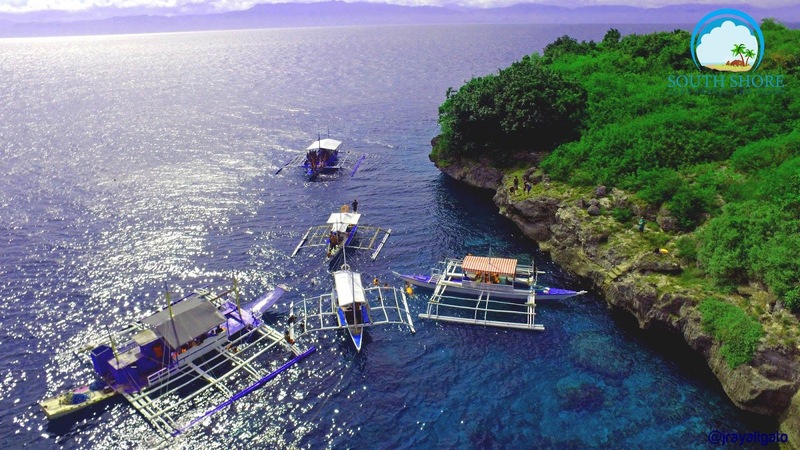 Three of the more most talked about parts of an island hopping trip to Moalboal are the Pescador Island getaway, swimming with the turtles at Turtle Bay, and the million sardine run. The island is located a few kilometers from the western coast of the island of Cebu. 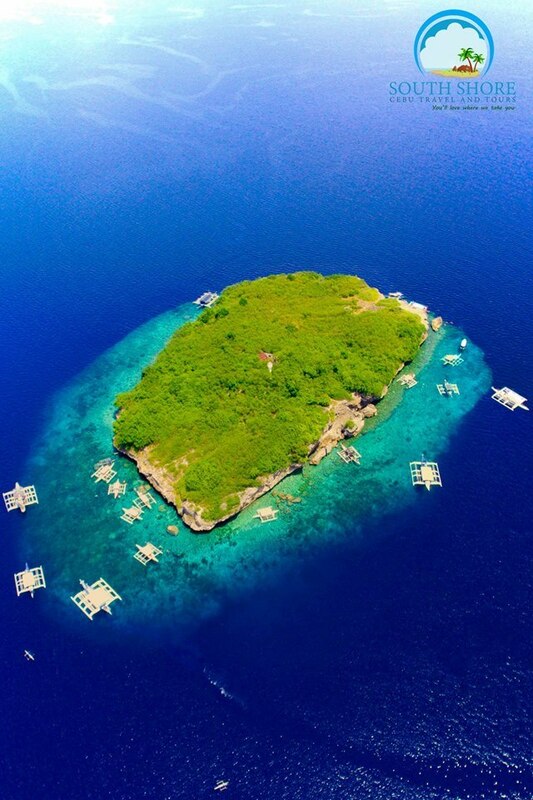 Pescador Island is part of the municipality of Moalboal. The island derived its name from the Philippine’s Spanish colonial heritage. “Pescador” literally translates to “fisherman” in Spanish. The island’s rich fishing ground and marine biodiversity speak for itself as it certainly attracts both fishermen and divers alike. Island hopping in Moalboal will give you a chance to experience the island via snorkeling or diving escapade. South Shore Cebu Travel and Tours can arrange your itinerary and schedules so you can enjoy the world class dive site experience while in a quick visit to this simple and unassuming islet. 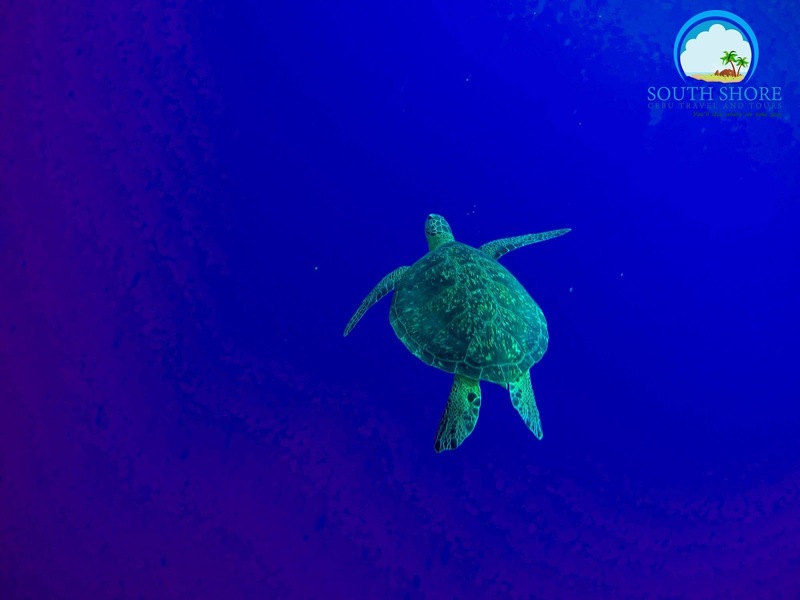 On a good day, you can swim with the gentle sea turtles found among coral reefs nearby. Turtle Bay is teeming with such rich marine life that even the elusive sea turtles are visible to visitors playing among other fishes. Skilled local divers can guide you so you can get that perfect selfie that will be the envy of your friends. 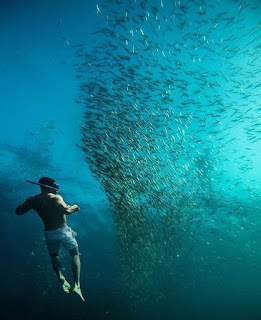 Probably the most photographed activity of the Moalboal island hopping adventure is the Million Sardine Run. The spectacles of man-made attractions such as those found in large aquariums and marine parks would wane at the underwater magnificence of what mother nature can do. The wild environment showcases such spontaneity and magic only wilderness can offer. 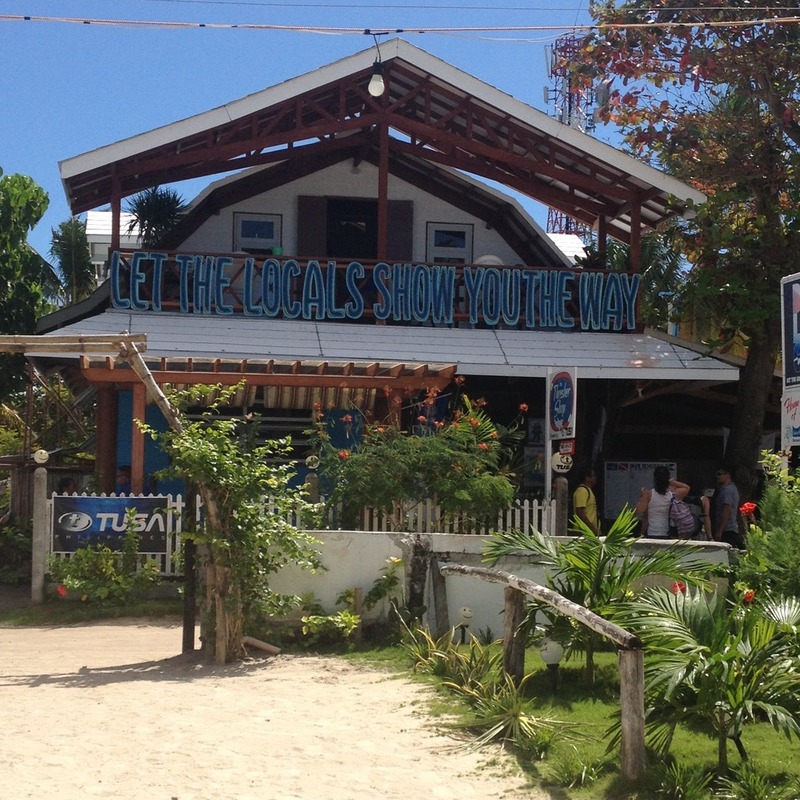 And that is exactly what Sardine Point in Panagsama, Moalboal, Cebu can offer. 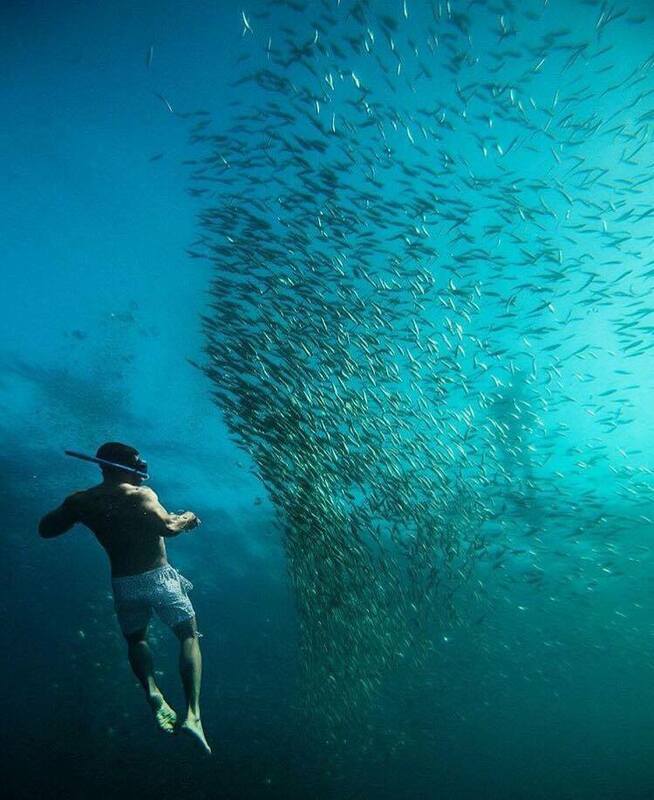 The seemingly choreographed dances of the fishes are such an eye candy taking you to another realm only South Shore Cebu Travel and Tours can weave at such an affordable price point. 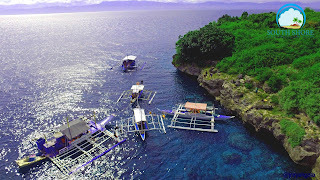 You may send us a message to find out how you can get started with your awesome Moalboal island hopping adventure today. Note: This article and majority of the photos in this post is a contribution from South Shore Travels as part of their promotions. The Wonderful Cebu Blog did not receive any compensation in exchange for this post. Art is such a relaxing activity. It takes away your stress. And it helps you get back your focus on things. I never thought I would be interested in anything about art. That is until a friend introduced me into adult coloring. Last October 2016, National Bookstore held their Color and Calligraphy Fair in Cebu. Since then, I got hooked in calligraphy then into painting loose florals using watercolor. I was assigned in Manila for work for a couple of months. If you are an art enthusiast, Metro Manila has lots of art festivals that you would not want to miss. National Bookstore was back in Cebu for NBS Make & Create Arts & Crafts Festival 2017. When NBS announced the event through their Facebook page, all my art hormones were pumped with adrenaline. I would not miss the opportunity. What made it more exciting is that the Wonderful Cebu Blog was invited for a special preview of the different sponsors of the event. 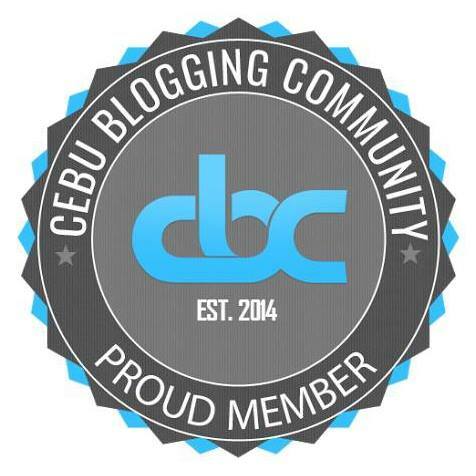 And I got to represent the Wonderful Cebu Blog for it. The Make & Create Arts & Crafts Festival ran two days from 14-15 October 2017. This kind of art festival only happens once in a blue moon in Cebu! Mr. Louie Manalo welcomed me and introduced me to the different brand supervisors. A special preview for Cebu-based bloggers and media was set for the first two hours of the event. Let me share my experience. I was first introduced to Mr. Ricky Malanog, marketing head of Uni Writing Instruments. Uni Writing Instruments is a brand that has been providing us with quality ballpoint pens. We may only know about Uni’s ballpoint pens. They also sell a variety of other writing instruments. They have products like Jetstream Pens, Gel Ink Rollerballs, Liquid Ink Rollerballs, Artistic Drawing Pens, Mechanical Pencils and Leads, Multi-functional Pens, and Markers. I love the Uni Ball Signo White gel ink pen. If you are into brush calligraphy or lettering, the Uni Ball Signo White can add texture to your lettering designs. You can also use the Uni Ball Signo White pen when doing a galaxy watercolor painting. I also plan to buy the Uni Posca White pen for calligraphy on wood. Are you into scrap booking? The famous scrap booking brand, Craft Easy, showcased their artful and unique scrap booking materials in the event. Children were also welcomed into the NBS Make and Create festival. If you are a Disney baby and you follow TV shows on the Disney Channel, you might be familiar with the brand Disney’s Art Attack. Mommies and their kids were mostly present in the Disney’s Art Attack booth doing coloring and creating crafts. For your scrap booking needs you can visit any National Bookstore branch nationwide and look for the Craft Easy section. Disney’s Art Attack also sells child friendly coloring materials. Bullet Journaling or BuJo is one of the famous trends among art enthusiasts nowadays. BuJo is a customized planner where you can create your own format for your weekly spread. It is where you can jot down your to-do-lists, sketches, and mindless scribbles. You can also use it as a diary or travel journal. Limelight offers an excellent brand of quality journals. It is the perfect suit for your bullet journaling needs. 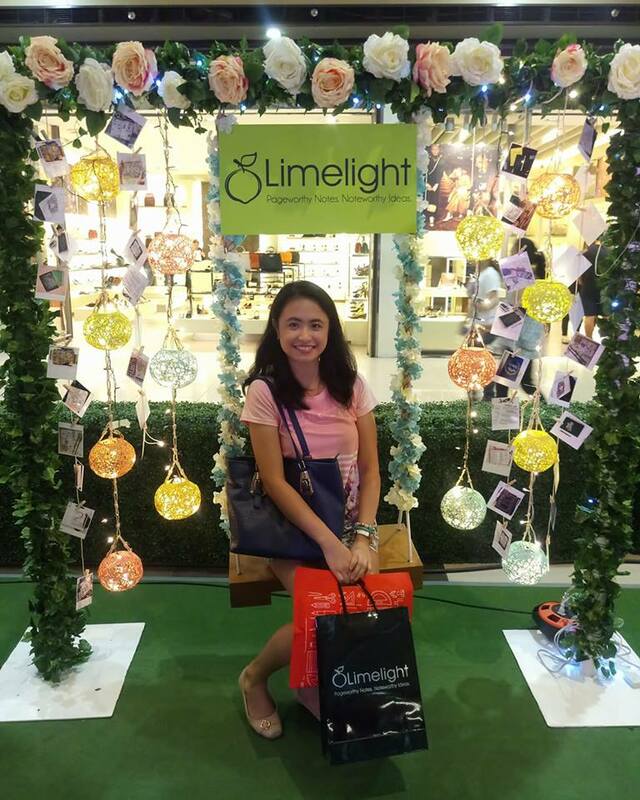 Limelight journals' use are not only limited to bullet journaling. These journals can also be used for sketching, watercolor painting, calligraphy, and almost all kinds of art. This is because its paper is at 120 Grams per Square Meter. It can withstand different kinds of media. With BuJo, you also need colorful markers for your designs. Sharpie is a water-based marker that can address your needs. It is perfect for your bullet journaling, scrap booking, poster making, adult coloring, and other arts and craft needs. Adult coloring started all my art journey since August of 2015. Merchandisers were selling different colored pencil brands like hot potato back then. But there is only one brand I wanted to own and that is the Prismacolor Premier pencils. Do I already own a set of Prismacolors? The answer is no because I couldn’t afford to buy one. One of the freebies given during the event was a set of 12s Prismacolor Premier pencils. Can you just imagine how happy I was when I received the tin box? It’s like the Michelangelo of colored pencils. Prismacolor Premiers are artist-quality colored pencils with high quality pigments. Its soft and thick core creates a smooth process in coloring and is perfect for blending and shading. Prismacolor Premiers were sold on a 40% discount during NBS’ Make & Create event. People who were present at the Prismacolor Premier booth were mostly sketching enthusiasts. Some were into adult coloring. I also spent 2 hours coloring an artwork. I just don’t want to miss the chance to use these “dream” Prismacolor Premier pencils. I hoped I didn’t babble about how much I love Prismacolor and looked like an art geek. I really couldn’t remember the words that came out of my mouth because of my excitement. Pretige Paper Products offers eco-friendly specialty papers. These can be used by graphic designers, social printers, digital service bureaus, commercial printers and hobbyists. I started my watercolor painting journey in August of 2015. Since then, I have been searching for a cheaper Fabriano watercolor paper in 3 branches of National Bookstore in Cebu. To my dismay, I haven’t found one. The one they are selling was the biggest size which costs Php 1,000 - Php 2,000. During the special preview for bloggers and media at the NBS Make & Create event, my heart fluttered with happiness when I saw the 9x12 size of Fabriano paper on display! Paper brands that are under Prestige Paper Products are Fedrigoni, Fabriano, Rock Paper, Mondi, Imari, Maestro and Eska. 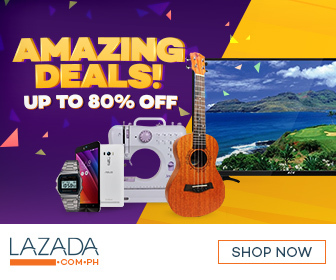 Sakura Philippines offers prime watercolor sets, brush pens, drawing pens and gelly roll pens. Sakura Philippines is promoting their Pigma Macron drawing pens. These are mastered for manga drawing and organic doodling. Sakura’s Koi Watercolor set is also a great find for watercolor enthusiasts. This nifty watercolor set is a perfect suit for travelers who are into watercolor painting. It comes with a portable case, a palette and a water brush. Ever since I started doing calligraphy, my go to brush pens were the Zig Brushables. During the event I decided to try on the Sakura Koi Coloring Brush Pens and bought one. What I love about the Sakura Koi brush pens is that it is easy to handle and I get to control the thin and thick pressure strokes well. I also love Sakura’s paint brushes because of its smooth tip. I hope National Bookstore branches in Cebu would stock up on Sakura’s paint brushes so I can purchase other sizes of their paint brush. When someone asks us about glues what brand comes into your mind first? Right! Elmer’s Glue. Aside from their multi-purpose glue, they also introduced their new product, Elmer’s Classic Glitter Glue. There was also a demonstration during the event on how to make a slime using Elmer’s Classic Glitter Glue. Marvy Uchida is a brand exclusively distributed by Valiant Paper Asia-Pacific Corporation in the Philippines. Their products include a variety of hobby and craft pens for calligraphy, drawing and fabric coloring. School and office pens are also present in Marcy Uchida’s line of writing tools. 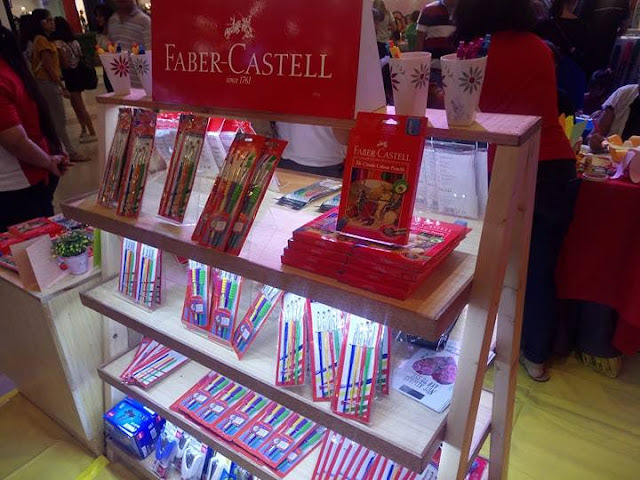 Faber-Castell is a Germany-based brand and houses one of the best brands of color pencils. There are two kinds of Faber-Castell brands. The one with the red background are student grade coloring materials. The one with the dark green background are artist grade coloring materials. During the event it was the former that was given the spotlight together with a new brand of coloring materials named Deli. Deli is a well known brand in China. It is a new player of art and office supplies brand in the Philippines. Their products include coloring materials, adhesive products, conference products, office machines and writing instruments. Faber-Castell also has brush pens that are used for calligraphy and is also one of my favorites for its flexibility. Here are a few artworks I created using the materials provided during the NBS' Make and Create Arts and Crafts Festival 2017. 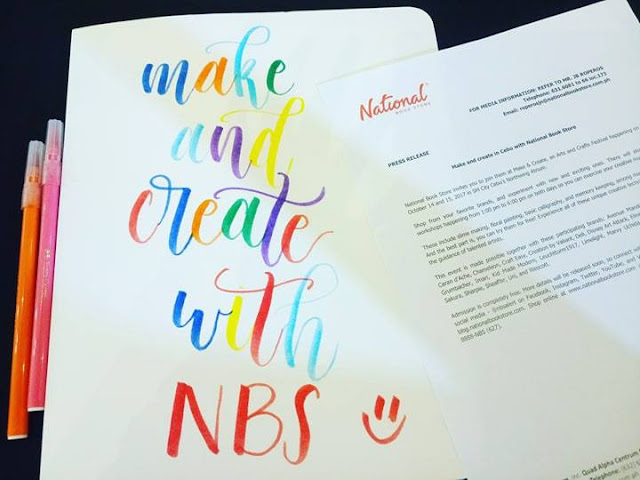 Thank you National Bookstore for bringing NBS’ Make & Create Arts & Crafts Festival in Cebu! Thank you for inviting Wonderful Cebu to the event. Here’s to more art events in Cebu! Cheers! Full disclosure: Jennifer represented the Wonderful Cebu Blog during the media preview for the National Bookstore Make and Create Arts & Crafts Festival. Rest assured, her opinions are her own and not influenced in any way. Metro Cebu probably has one of the worst traffic problems in the world. In fact, Cebu's driving culture was cites as second worst by Waze, the wayfinding app. This means that if you have a constant need for speed, it will be hard to sate that in the streets of Metro Cebu. Unless it's deep into the night. Worry not now, there is a way to fill your need for speed in Cebu. I rented a go-kart with them once and used their track for 8 laps. But I was never a speed demon and I just tried it for once. I also did not have photos of that experience as we did it in at night and we did not have cameras that can capture the experience in the dark. 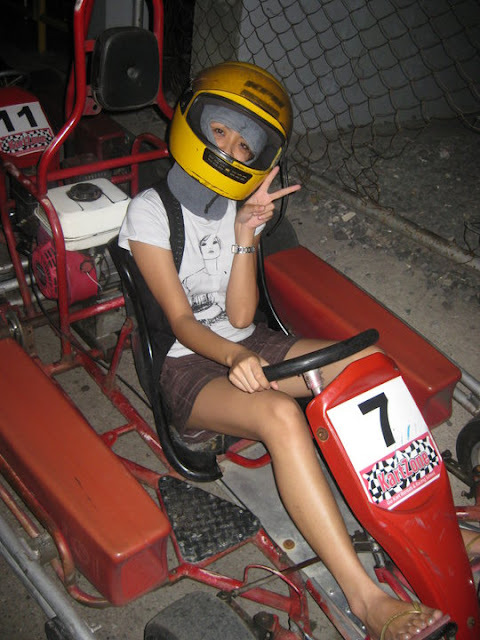 Luckily, Jen of Thoughts by Anonymous gave me permission to use her photos when she visited Kartzone Cebu. First, we paid the fees for go kart, safety gear, and accessory rentals. A helmet is the only required safety gear. A face mask is also available for rent. Of course the karts are equipped with seat belts. I strongly suggest though that they require guests to wear closed shoes. For a higher safety standard, they can also rent out padded overalls, arm guards, knee pads, shin guards, elbow pads, and gloves. While their rules do indicate that they do not allow rentals for guests who are under the influence of alcohol or drugs, they have no way of knowing for sure. They only check for obvious physical indicators such as grogginess and breath that smells of alcohol. Perhaps a breathalyzer test may suffice? I understand that will drive costs up though. The experience starts with a safety briefing where we were just made to view film. It was quite informative and sufficient as long as you pay attention. After the safety briefing, we then proceeded to putting our gear on and getting on our go-kart of choice. 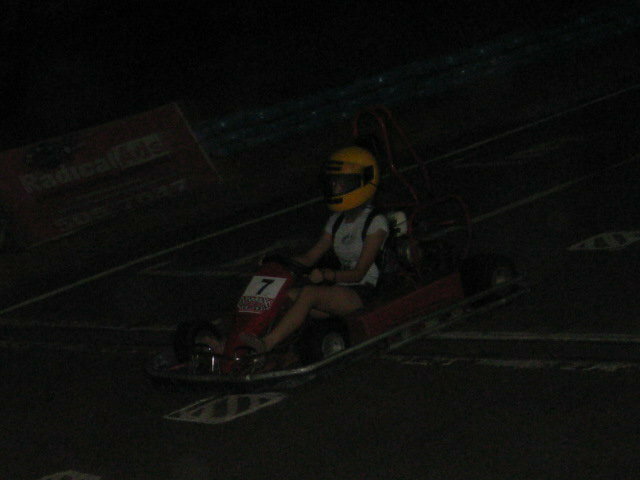 The standard for renting a go kart and using the racetrack at Kartzone Cebu is 8 laps. Regular rental rates are PHP 425 for the single-seat go kart and PHP 450 for the twin-seater. The price drops during happy hour on weekdays, 10 a.m. to 3 p.m. The happy hour single-seat rental is at PHP 325 for 8 laps, and the twin-seater rents at PHP 350. 4-lap tickets are also available during happy hour. The 4-lap tickets cost PHP 225 for single-seaters and PHP 250 for twin-seaters. Other than go karts, Kartzone's racetracks have also been used for motorcycle races and automobile time trials. This was the former stomping ground of Cebuano actor Matteo Guidicelli. Matteo was a champion motorcycle racer before he focused mainly on a showbiz career in Manila. Do you need to sate your hunger for speed? Kartzone Cebu just might be able to address your need for speed. Give them a try and tell us about your experience in the comments below. I'd like to believe that Cebuanos fell in love with Japanese cuisine. One only has to look at how many Japanese restaurants there are in Cebu. More than just the traditional ramen noodles, teriyaki dishes, tempura, sushi, and sashimi, other Japanese dishes have become common in Cebu. Some restaurants have taken this Cebuano love for Japanese food to a higher level. Restaurants that serve Japanese dishes in fusion with other cuisine are quite common. One of these places is Sumo Sam at Ayala Center Cebu. By all means, Sumo Sam is a Japanese restaurant. It retains many traditional Japanese dishes and restaurant customs such as a hot towel before a meal. But it also integrates some Western influences on their menu. In this post, I look back to that one time I dined here. I remember it to be quite an expensive meal. I did have salmon and steak so that kind of bloated my expense. 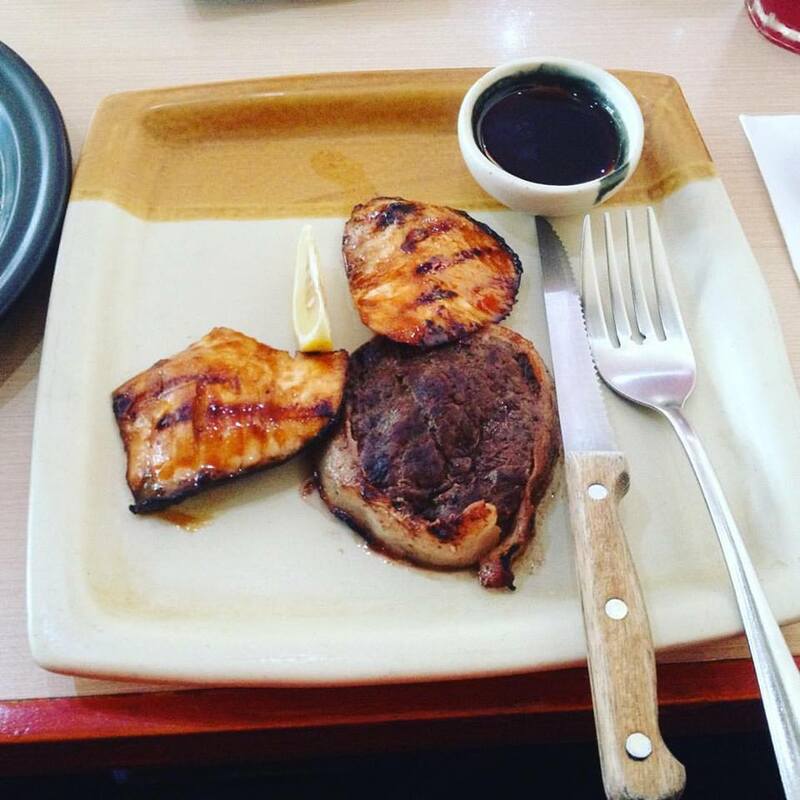 For my meal, I had a salmon and steak combo. Part of the promotion back then, the meal included a bowl of Japanese fried rice a couple of Japanese rolls, and a bowl of salad greens. They served the miso soup, salad greens, and Japanese rolls first. The miso soup serving is bigger than what I usually get at other restaurants. Salad greens were fresh and the lettuce had a good crunch. All were good, nothing extraordinary though. I find the Japanese fried rice to be a little wanting in ingredients. While it had generous spices in it, there was too little meat in it. I probably got too used to having lots of colorful things in my fried rice. That's why I like Chinese fried rice so much. Now on to the main entrees. Salmon was pan seared but I guess it got well done a little too well. I love to enjoy my salmon grilled or baked so I can savor that soft and succulent fish meat. Sumo Sam's version is overcooked compared to how I prefer it. I sure hope this would be one of the better places to order salmon in Cebu, but it is not. My top place for a salmon dish is still at Maple. They also did not get my steak right. I always order my steak well done and made sure to tell them when I placed my order. Instead, they served my order medium rare. I haven't really sampled a good lot of steaks in Cebu, but I can tell you that one good place to get them is at Acacia Steakhouse. 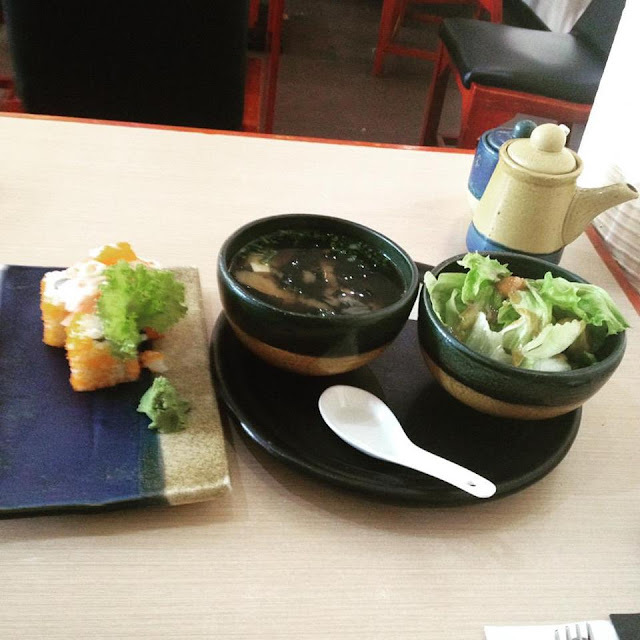 My Sumo Sam dining experience is not my best Japanese meal in Cebu. It is also not the worst. Kind of an average experience. The one positive that I see here though is the meal size. 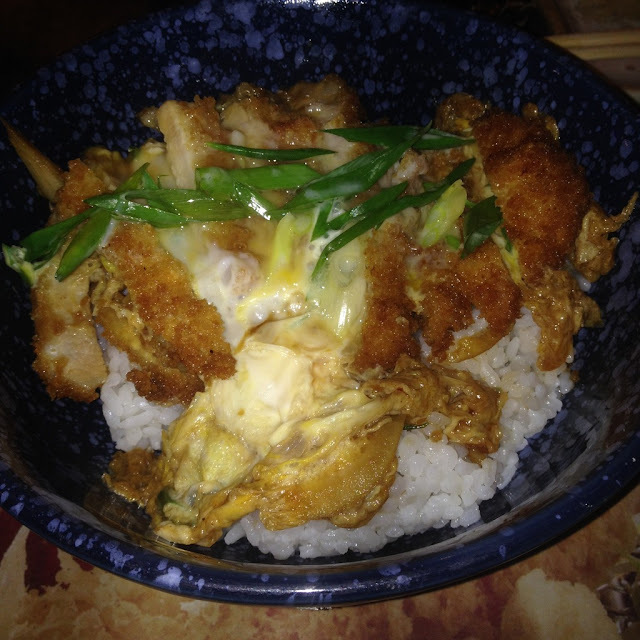 The serving portions can definitely feed a sumo appetite. I hardly finished my meal and I have a fairly big appetite myself. How about you? 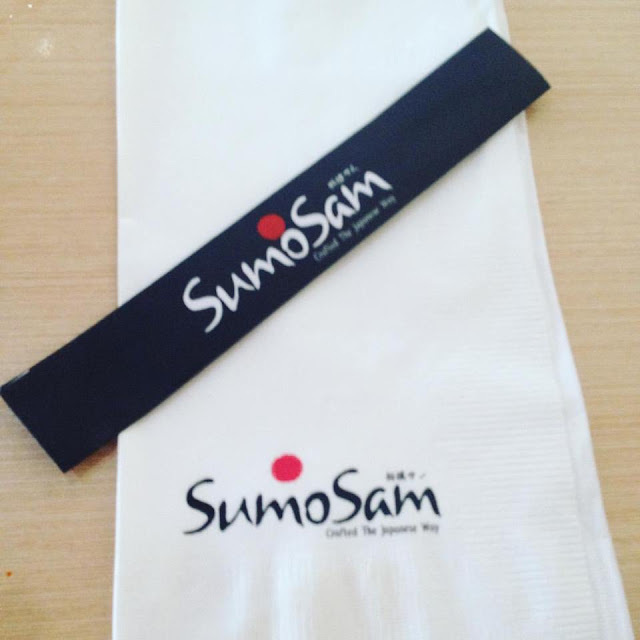 Have you dined at Sumo Sam? How was your experience? Did you find something good in their menu that we missed? Tell us in the comments below. As it's name suggests, Tempura Japanese Grill's specialty dish ought to be tempura. 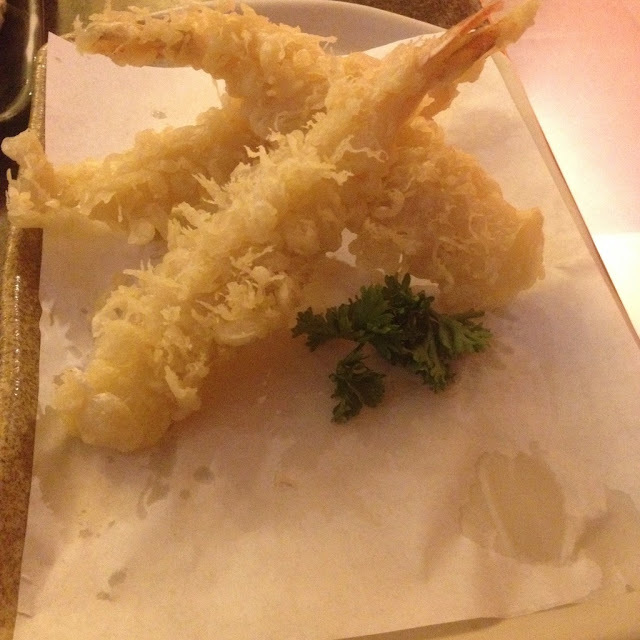 As a true lover of Japanese cuisine, tempura is one of my favorites. I couldn't be happier to try it in Japanese restaurants around Cebu. 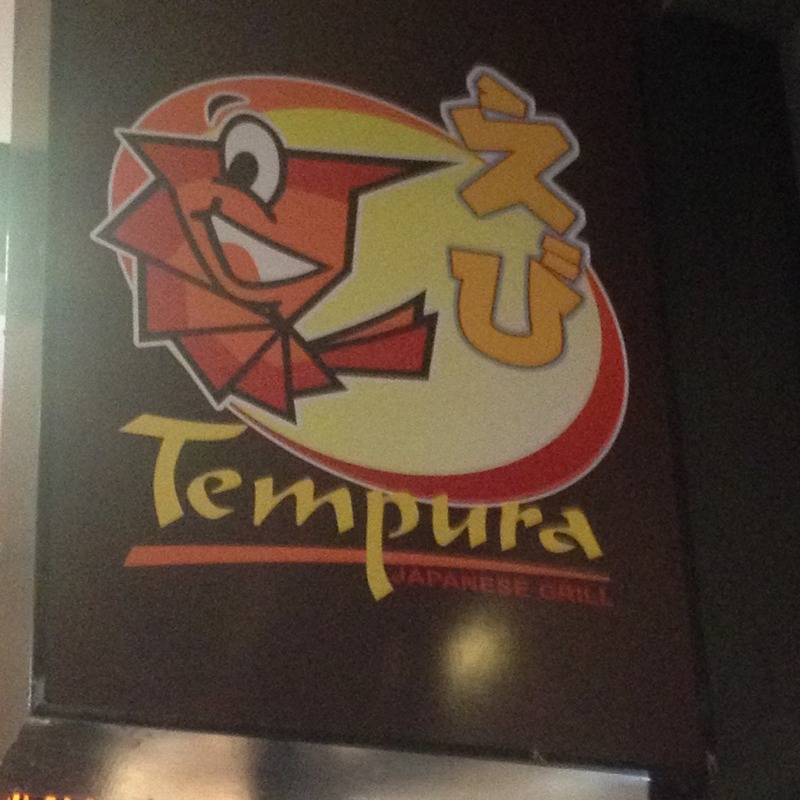 I sure did hope that Tempura Japanese Grill's rendition is the best in town. Truth is, not for me. The Tempura Japanese Grill branch in Cebu is located at the ground floor of the SM City Cebu Northwing in the North Reclamation Area of Cebu City. It was in late February 2016 when I first dined at Tempura Japanese Grill. I definitely ordered tempura and 2 familiar Japanese dishes: tonkatsu and gyoza. They also gave me the customary complimentary miso soup to start my meal. The soup was good and much like how it is in other restaurants. Due to the fact that I anticipated their tempura to be the best I ever tasted in Cebu, I was a bit disappointed that it was not the case. I also wanted to order the king prawn tempura but they ran out of it when it was my turn to dine. Having tasted their version, my top choice to get tempura in Cebu is still at Choobi Choobi Restaurant. Their rendition was a little bit too soggy. I wished they shook more of the excess oil off before plating and serving it. While it had some good flavor in it, the excess oil kind of takes away some of the crunch from the breading. Besides, the oiliness can make you feel a bit sick. But I still want to go back and try their king prawn version. If they ran out of it, there must be something good about it. Don't you think so? The tonkatsu was good. The pork meat tasted sweet probably from how they seasoned it. It's breading had enough crunch and they probably put some extra egg in it to make it fluffier. 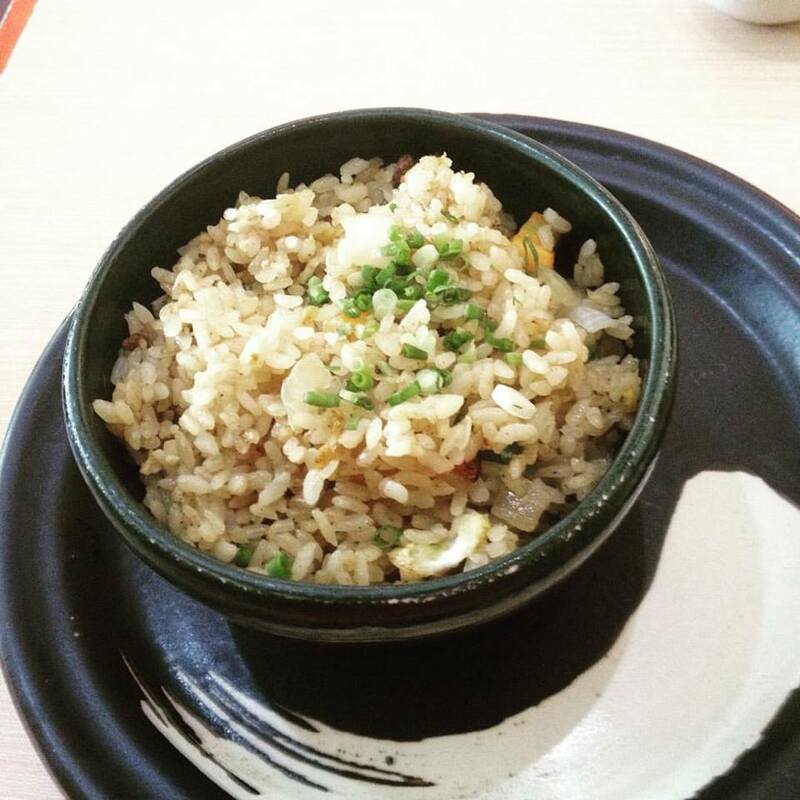 They served it on a bowl of sweet Japanese rice then sprinkled it with spring onions. Not the best tonkatsu I came across but it's definitely one dish I can come back for. My top place to get Tonkatsu? I'd still go for that Kurobota pork cutlet at Tonkatsu by Terazawa. The pleasant surprise that I came across though is the gyoza. I have some mixed feelings about gyoza as sometimes they are really good. But sometimes, I come across some varieties that do not suit my taste preference. Tempura Grill does it right for me. Their version was probably boiled or steamed before it was fried. It's not too sticky and had a good balance of vegetable and meat as filling. That filling was well-seasoned too. I can keep coming back for this as it is really good. This is now my top pick for gyoza in Cebu. Have you dined at Tempura Japanese Grill in Cebu City? What do you think about their tempura? What are your favorite dishes in their menu? You may tell us in the comments below. When companies decide to conduct a training outside of the company, one of the main concerns besides the location and accessibility of the place would be the cost. Aicila Suites as a seminar venue can provide those variables as well as present a welcoming venue for training. The Cebu Teambuilding Facilitators Network affiliates were at Aicila Suites on 28 July 2016 to conduct a sales and marketing seminar for Fabulosa de Fashion, a clothing retail store with several branches in Metro Cebu. Aicila Suites is a Cebu City hotel situated at the crossroads of Talamban and Cabangcalan. The hotel features guest rooms and suites that provide free internet access. Balkon Bar is the in-house restaurant. Family KTV is also situated within the hotel building. Family KTV provides a number of rooms for Karaoke and Wii games. The hotel offers enough space to hold different kinds of events. Weddings, social gatherings, and corporate training events are some examples. Strategically located in one of the busier areas in Cebu, the hotel has a 7-Eleven convenience store and Park N’Go Bakeshop for quick and convenient stops during a busy day. With the summer heat hitting the main island of Cebu, Bantayan Island is surely becoming the go to destination for a wet and wild escapade this summer. Well, not necessarily a wet and wild escapade. Bantayan Island can cater to different kinds of travelers. You can have a quiet vacation, an adventurous one, a nature-inspired travel experience, or probably even a mystic trip. That's how versatile Bantayan Island is. Of course one consideration is where to stay in the island. We suggest you consider Ogtong Cave Resort. Numerous companies are also preparing and looking for conducive places to combine a company outing with employees and a company’s team building event. One of the resorts that is good for a company outing and team building is the Ogtong Cave Resort. Summer is finally here with all its beach craze, outdoor and water activities, and what more fun way to experience all that in one of the best natural white sand beaches in the country – at the white beaches of Bantayan Island. As exciting as it can be, organizations also organize fun-filled activities with their employees and teams thus look for potential venues conducive for the energy and excitement of employees. All this can be found at Santa Fe Beach Club in Bantayan. Located at Santa Fe town, it is literally a few minutes’ walk from the Sante Fe port. One can even see the beach’s primary rest house from afar, sporting a large white triangular house making it a sought after beach club for those wanting to enjoy the place’s naturally white sand and beach. Nestled within the mountains of Toledo and Pinamungajan is a hidden oasis with majestic pools that will certainly satisfy your inner mermaid (or merman). To those who are craving for waves but can do without the dangers of the open sea, then look no more this place is for you. Mountains and waves seem out of sync. Never mind that their wave pool generates artificial waves out of spring water. It's as real as it can get with those three-foot waves anyway. It was an early morning trip to Pinamungajan with our clients from Access e-Talk Plus for a team building seminar. Our destination was Hidden Valley Mountain Resort at Barangay Lamac, Pinamungajan, Cebu. True to its name, the Hidden Valley Mountain Resort was quite difficult to find but going there is definitely worthwhile. In Cebu City, you would not expect that deep in the mountain barangays, you will find a garden of luscious flowers. Sirao Flower Farm is a place to go for your pre-nuptial or debut photos. Being surrounded by flowers in your pictures is definitely romantic. The place is also known as the Little Amsterdam of Cebu. Or quite simply, the Celosia Flower Farm. And yes, it's this flower farm that was trending on social media in the past year. Sirao Garden first started as a simple flower farm. The flowers were harvested every end of the year which will be used for All Soul’s Day and for Sinulog. The owners of Sirao Garden were surprised to find that their garden was starting to attract visitors from different places. So they decided to plant more flowers and develop the place. When I went there a year ago (2016), the ground was still a muddy terrain but now they added a little bit of concrete so that it will be safe for walking. They have also added a couple of tree houses so that you can see the majestic view in Sirao Garden. It is enjoyable to walk around the garden filled with Celosia flowers. You can also spot a few sunflowers here and there. It feels like you’re in the secret garden. A lot of people visit the place during the weekends and holidays. It’s a tourist spot even for Cebuanos. When my friends and I visited Sirao Garden, it was raining just a few hours ago and since it’s a garden, well, our shoes were caked with mud. But it didn’t stop us (or even the other people) from exploring the place. The mud didn’t seem to matter anymore as long as the people can have Instagram-worthy photos. The sky was dark but we were still able to take really cool photos. Outside Sirao Garden, there are stalls with food or drinks to satisfy your stomach needs after picture-taking (I strongly recommend their sweet corn!). motorcycle or habal-habal from JY Square Mall Lahug. There are a lot of motorcycles that will offer a ride for a fee of around Php 200.00 – Php 300.00. There are still a lot of places to tour in Busay, it would be a waste to go right back down after visiting Sirao Garden. You may arrange a private city tour with any tour companies. Entrance fee to the place is at Php 30.00. Have you been to the Sirao Flower Garden? How was your experience? You may share in the comments below. Gratis: The Wonderful Cebu Blog would like to extend gratitude to South Shore Tours for sponsoring a Twin City Tour in Cebu for our writer. The Sirao Flower Gardens was one of the stops in that twin city tour. Tops got its name by being literally at the top. This former helipad in Malubog, Cebu City is a famous tourist destination for scenic views of the city lights at night and the urban sprawl and nature’s greens during daylight. As mentioned, Tops was once a helipad. It was owned by a scion of the influential Osmeña political family. There are also restaurants and areas where you can buy fresh fruits and vegetables. The place seems to have an allure that constantly attracts both locals and visiting tourists. From JY Square in Lahug, you can ask habal-habal drivers to take you to Tops with a fare ranging between Php 80-100.00 one way. You can also opt to ride a taxi but I think that’s more expensive. Or if you want to, you can walk for thirty minutes to one hour depending on your pace. That's if you want some extra challenge going to Tops. As for us, we rode on the car provided by South Shores Travel and Tours for our twin city tour. Cebu is foodie heaven. And as economic theory states, costs can be high where there is high demand. The good thing about Cebu though is that despite that heavy demand for restaurants, there is also no shortage of supply. That means, cost is somehow balanced and Cebu dining need not be expensive. Sure there are quite a number of places that are expensive. But there are also many that offer great value for your buck. There's the typical hole in the wall places. But you can find cheap food even in malls. 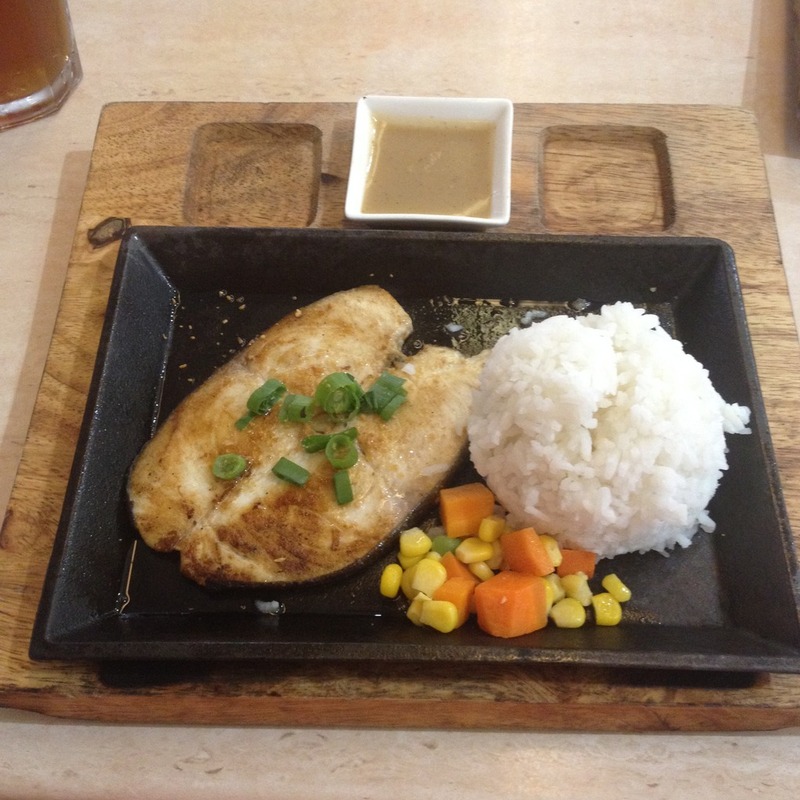 While not exactly a much talked about restaurant, Jonie's Sizzlers and Roast offers meals with very affordable prices. 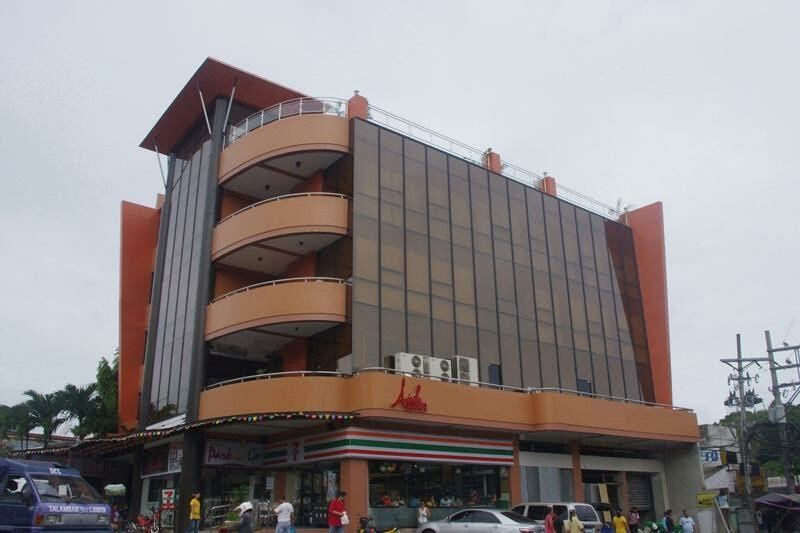 Jonie's is located at the upper ground floor of SM City Cebu. They specialize in flavored roast chicken. I must say there's pretty good flavor in their roast chicken. Tangigue or mackerel is one of my favorite fish food along with salmon and bangus (milkfish). I love tangigue either as a fish steak, fried or pan-seared, or grilled. When I want to eat healthier at Jonie's, I order the grilled tangigue. Back in 2007, I went to meet Skip Ellsworth at his beach resort in Agujo, Daanbantayan, Cebu. By then, Skip was already ailing and can only move through the aid of a wheelchair. He introduced me to his wife Belle and one of his kids who was only about 11 or 12 years old by that time. Skip was a martial artist. He was Bruce Lee's third student in America. Almost nine years after that visit, I was again in Daanbantayan. I was on a familiarization tour of Virgin Beach Resort. But I made sure I visited Skip's Beach Resort and KTV once again. I was able to talk to Belle and learned from her that Skip passed away in 2008. There are more fancy accommodation options on Malapascua Island. But I chose to stay at The Thresher Shack. The Thresher Shack is a humble dormitory type accommodation. 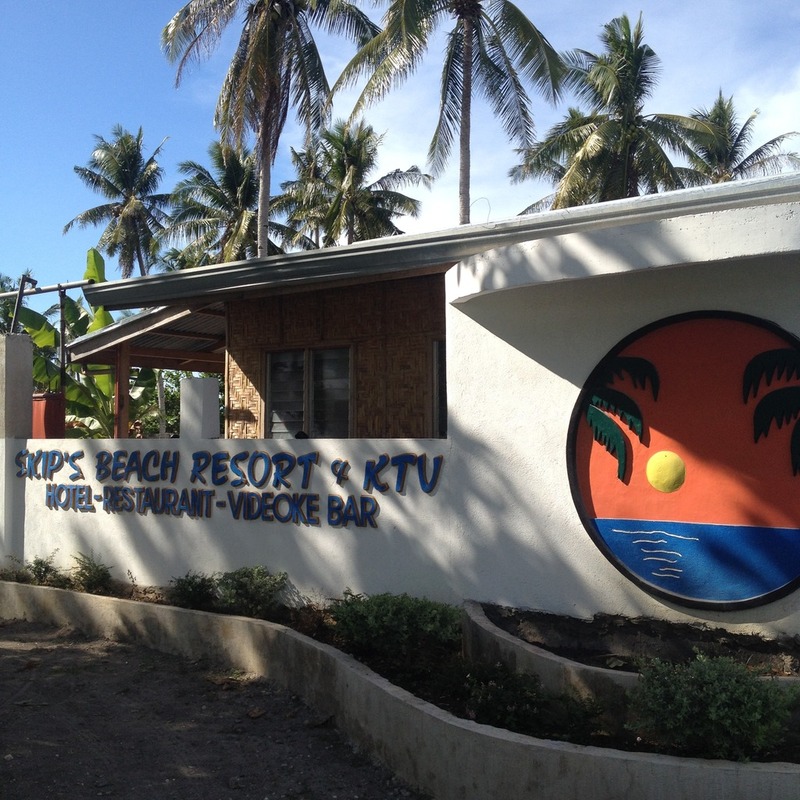 It is located at the Divelink Cebu property on Logon Beach. It also helped that one of the partners that own Divelink Cebu is an uncle of mine. Uncle Gary is one of the major owners of Divelink Cebu. When you get to know him, it is not hard to know why the humble accommodation that started with just 6 beds was called Thresher Shack. Uncle Gary is a marine biologist. He is a scuba diving enthusiast. And he is a prominent shark conservationist as well. He is now based on Malapascua Island. 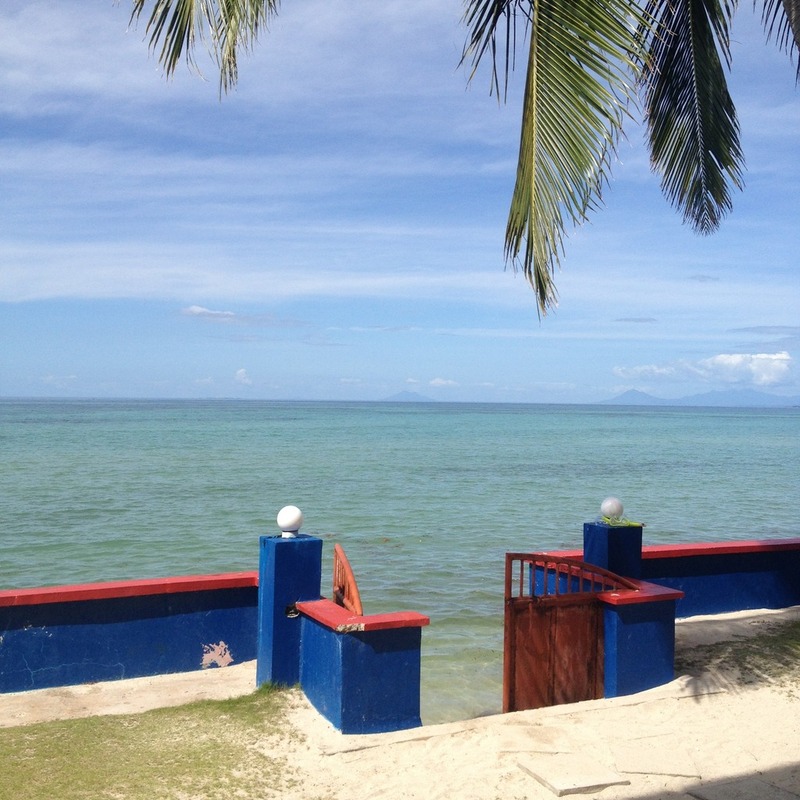 Malapascua is a known haven for thresher sharks in the northern part of the central Visayas province of Cebu. Mactan Island is known for its beaches. But there is actually more to that in this island in Cebu. Here is a suggested itinerary for a quick day tour of Mactan Island. If coming from Cebu City, we suggest that you take the Mactan Ferry at Pier 3. It is a convenient way to get to Mactan Island and avoid the dreaded traffic situation in Mandaue City and Lapulapu City. It's also a cheap way to get started with the tour. Besides, who doesn't want the fresh sea breeze of the morning? The Mactan ferry docks at the Muelle Osmeña Wharf. On site is a lighthouse that is more than 100 years old. Snap a photo with that lighthouse. Across the exit of the Muelle Osmeña Wharf is the Birhen sa Regla Church. The main church in Lapulapu City, many devotees come here to ask for favors. Common among these favors is the prayer to conceive. Also in the area is Saint Alphonsus Catholic School. SACS was established in 1916. It is more than a hundred years old. For breakfast, we suggest a local Mactan Island fare. Head to Senyang's for their famous lumpia. 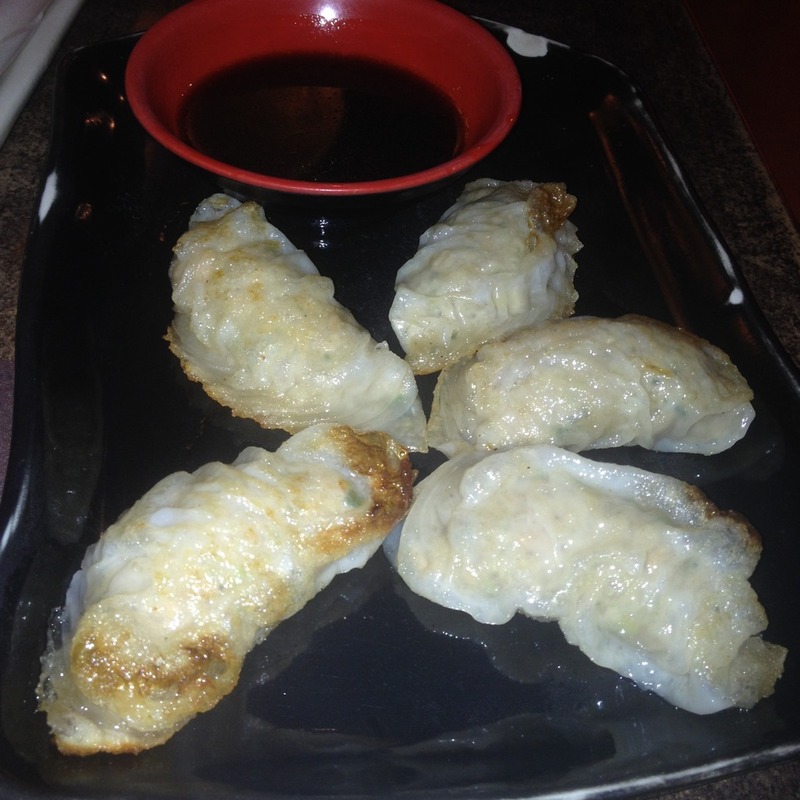 Senyang's is walking distance from St. Alphonsus Catholic School. For the serious history buffs, visit the Gabaldon building at the Lapulapu City Elementary School. Visit the Lapulapu monument at city hall and learn about its history. It used to hold a bow and arrow. But after a succession of 3 mayors died of heart attack, they changed the weapon. Millennium Park is a public park under the Mactan Island side of the Marcelo Fernan Bridge. Walk with caution in this park as there have been numerous reports of crime. Or better yet, snap photos from the vehicle you are riding in. 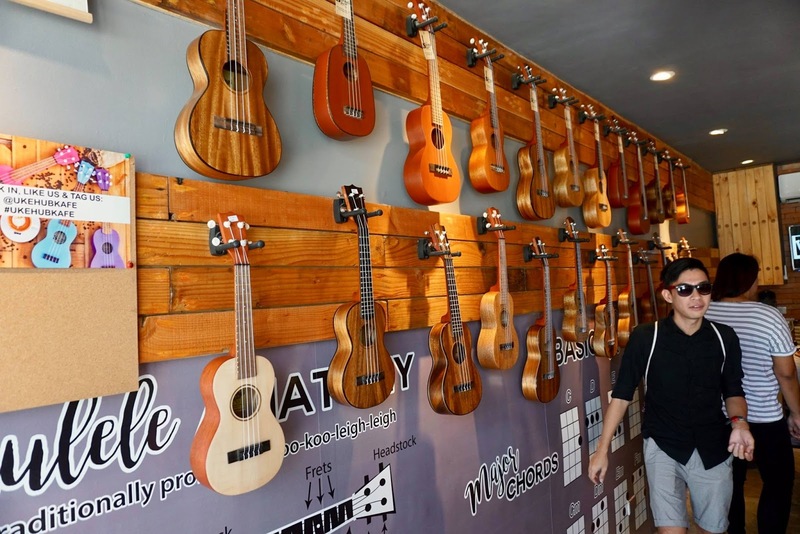 Admire the world-class ukulele products from Susing's Guitar at the Ukehub Kafe. If you are lucky, you might be able to catch a learn-to-play session for the ukulele. Or you can schedule one before you embark on your tour. One of the most visited sites in Mactan Island is the Mactan Shrine. It is believed to be the site of the Battle of Mactan. Ferdinand Magellan died in that battle. That battle also enshrined Datu Lapulapu as the first Filipino to triumph against the Spanish conquistadores. Right beside the Mactan Shrine are restaurants that offer sutukil, a Cebuano palate feast consisting of sugba (roast), tuwa (soup), and kilawin (fish ceviche). If you are big on seafood dishes, you will lobe this place. The Mactan Newtown is the newest commercial park in Mactan Island. Head to the Mactan Alfresco to sample some of the restaurants. Restaurants in the area are Muvanz, Choobi Choobi, Meximama, Orange Karenderia, Mama Linda Inato, and Oyster Bay Express. Or just simply marvel at the modern structures within the area. When you have time, you can try the submarine tour, helmet diving, or the hot air balloon at Hadsan Cove. Choose between MB's Tavern and the kandingan places for dinner. MB's tavern is a German-owned cafe. They serve pizza, breads, and some Filipino dishes. Choose MB's tavern if you want to play it safe. For the more adventurous, try goat meat dishes in one of the kandingan places in barangay Basak. Pueblo is a modern shopping complex right outside the Mactan Export Processing Zone II in barangay Basak. If you do not have a flight to catch, cap the night off with dinner at D'Jungle Restaurant. An after-dinner cultural show starts around 7:00 p.m. Plan to arrive at least 30 minutes prior to that. If you have a late night flight to catch, be sure to bring in some lechon from Cebu. Ayer's and Zubuchon have stalls at the Mactan Cebu International Airport where you can get some. 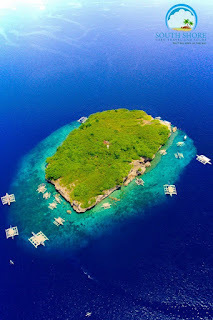 Do you know of other interesting places to visit in Mactan Island? Let us know in the comments section below.